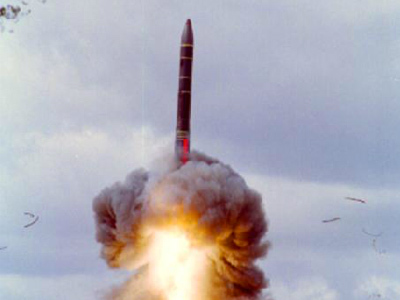 ­The new weapon is an advanced version of the Topol-M and Yars missiles, already deployed by the Russian Strategic Missile Forces. The experiment was boosted off from the Plesetsk launch site in north-western Russia’s Arkhangelsk region on Wednesday. It delivered its test block to the Kura target range in Kamchatka Peninsula in the Far East. 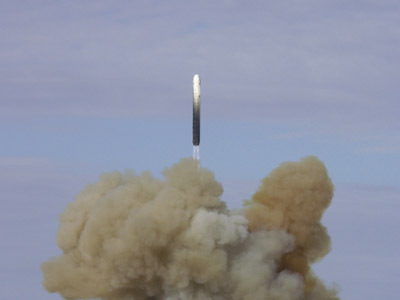 The successful test comes after a failed launch of the prototype on September 27, 2011. At the time the missile’s first-stage engine reportedly failed, which resulted in it dropping some 10 kilometers from the launch pad. 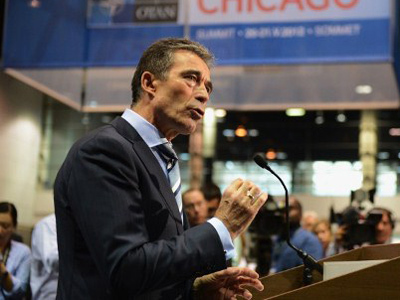 The medium-weight ICBM is “one of the military-technical measures, which Russia’s military-political leadership is taking in response to the deployment of a global antimissile defense system by the Americans,” says retired Col.-General Viktor Yesin. 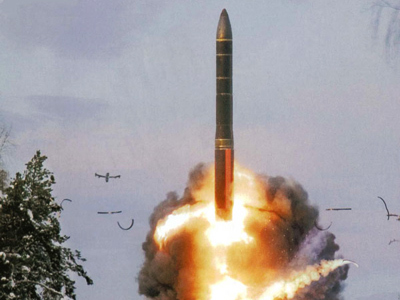 The new missile may be ready for service “soon” and would boost Russia’s nuclear deterrence “in the uncertain situation”, the former head the Strategic Missile Forces’ General Staff told Interfax news agency. According to military sources, the upgraded design behind the new weapon focused on its fuel formula. The solid propellant has been improved and allows for a faster boost, shortening the initial phase of the flight. During the boosting phase the missile is relatively slow and predictable, which makes it more vulnerable to anti-missiles. Little detail about the new ICBM has been revealed. Unofficially dubbed Avangard, it is expected to have a MIRV-ed warhead with improved maneuvering and targeting capabilities of the vehicles. Some reports say that rather than having a traditional “bus” delivering each warhead to its target, designers chose to equip them with individual engines. This would allow active maneuvering on the descent phase. Silo-based and mobile launcher-mounted versions of the missile are currently in development.